Send automatic appointment confirmation, changes or cancellation reminders to patients and clinicians. DNA’s are a direct result of miscommunication from Hospitals to patients, which can be problematic throughout all clincial environments. 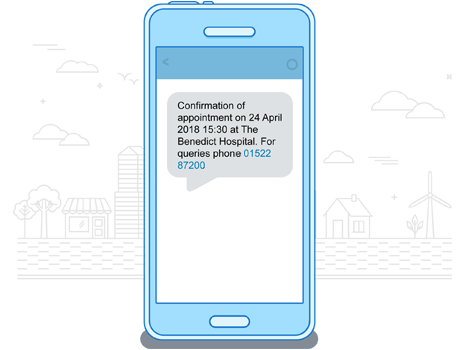 Compucare SMS Service ensures an accurate and efficient flow of communication, ensuring patients are kept fully informed regarding their clinical agenda, resulting in a drastically improved patient experience and customer service.